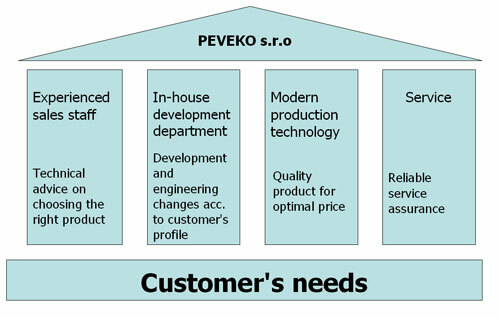 PEVEKO s.r.o. is a European producer of control and measurement systems, solenoid valves and a supplier of assemblies and parts acc. to customer’s drawing. The company is certified acc. to ISO 9001.